Battle For Rokugan is a 2 to 5-player area control board game set in the Legend of the Five Ring game. Battle for Rokugan puts players in the roles of Rokugani daimyo fighting for territory in the early days of the Emerald Empire. 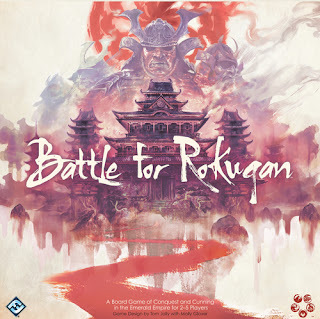 The land of Rokugan is divided into territories that belong to each of the 7 honorable clans that have been battling for dominance since their foundation by the Kami. Past the safety of these provinces’ walls lay several unclaimed territories, including the mysterious Shadowlands that beckon to those who desire power no matter the cost. 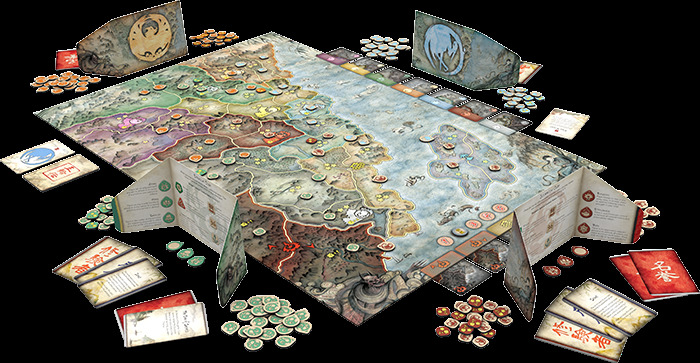 The players’ ultimate goal is to conquer as many provinces as possible to gain honor for their clan. 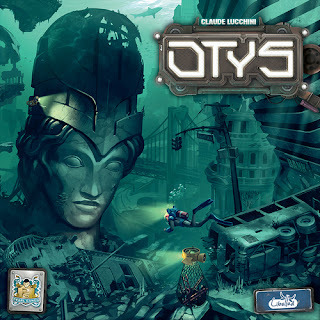 Explore the ruins from the past to rebuild the future in Otys. Mid-22nd century, after 300 years of unconsciousness, the water rising engulfs the last emerge lands. Fighting for their lives, the survivor’s settlements must remain above the sea level. You live in the Otys colony and you must retrieve the past civilizations debris in the depths to build the future of humanity. 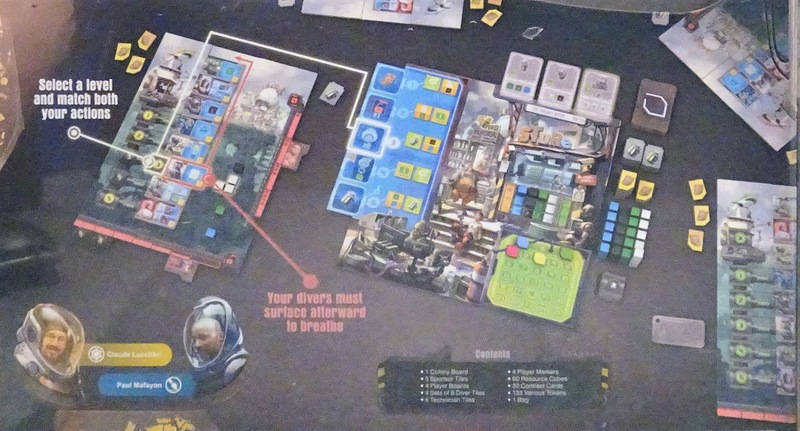 Your diver’s team is trained to bring up the most useful materials remaining in the depths. 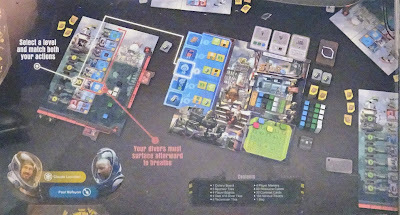 You need to use them wisely to fulfill the contracts offered by the Colony. Your divers lay at different depths; it is up to you to best match their special abilities with the bonuses offered by the Colony. But beware! Your diver’s oxygen is limited, and as soon as they have accomplished their mission, they must go up to the surface. Try to manage the parameters of your team in a profitable way, so the Colony will reward you more than it will the others. Sid Meier's Civilization: A New Dawn is a fast-paced strategy game where players guide their nations in a race for territory, technology, and game-changing wonders. 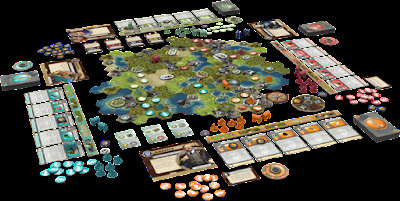 As leaders of competing nations, players must expand their domains, gain new technologies, and build wonders to rise above all others. 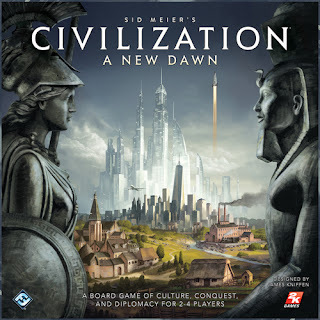 Sid Meier's Civilization: A New Dawn and Sid Meier's Civilization: The Board Game are based on the same universe, but are very different types of games that offer different play experiences. 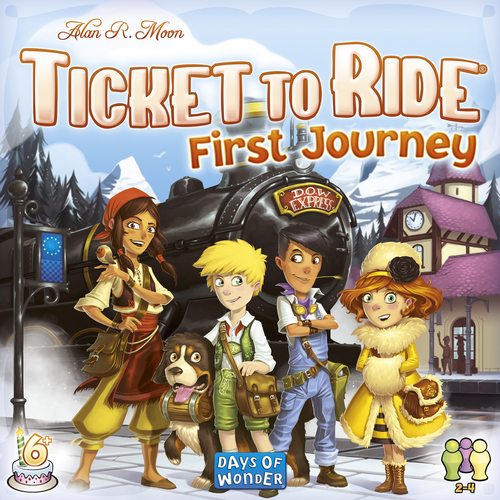 Now kids ages 6+ can come aboard for their first journey with Ticket To Ride. The game is easy to learn and plays in 15 to 30 minutes. In Ticket To Ride First Journey, you will collect cards of different colors, use them to claim railway routes with your trains, and complete your destination tickets to achieve victory. 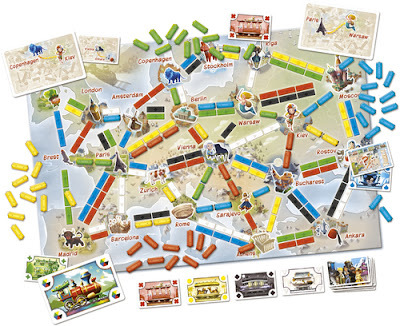 Climb aboard and discover a wonderful railroad adventure throughout Europe. 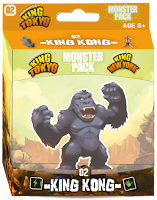 The King Kong Monster Pack adds new elements to the game: Tokyo Tower for King of Tokyo and the Empire State Building for King of New York. 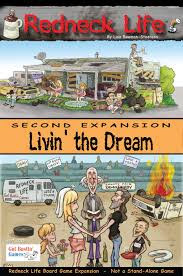 Livin' The Dream is the 2nd expansion to the hilarious board game Redneck Life. 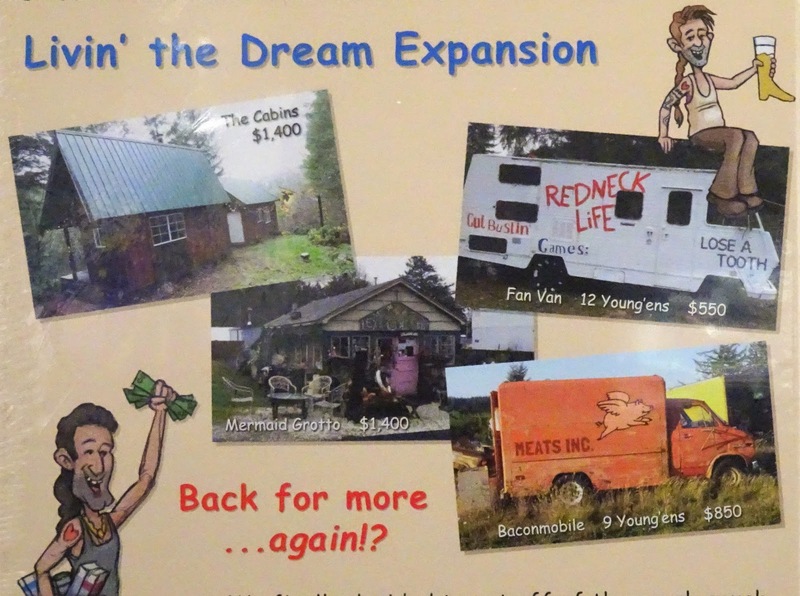 Livin' The Dream provides more Rigs and Homes, all new charts, Go Redneckin' cards, and more. 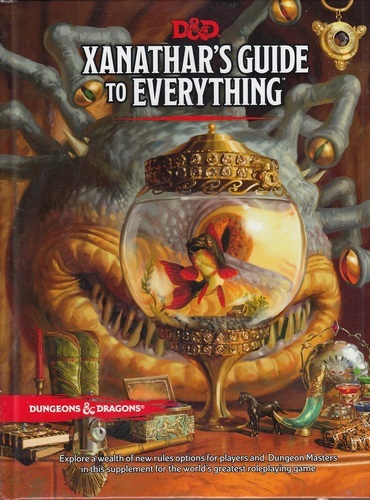 D&D 5th Edition Xanathar's Guide To Everything provides a set of new rules and story options for all the character classes in the Player's Handbook, including over 25 new subclasses. This book also presents new spells for both player characters and monsters. 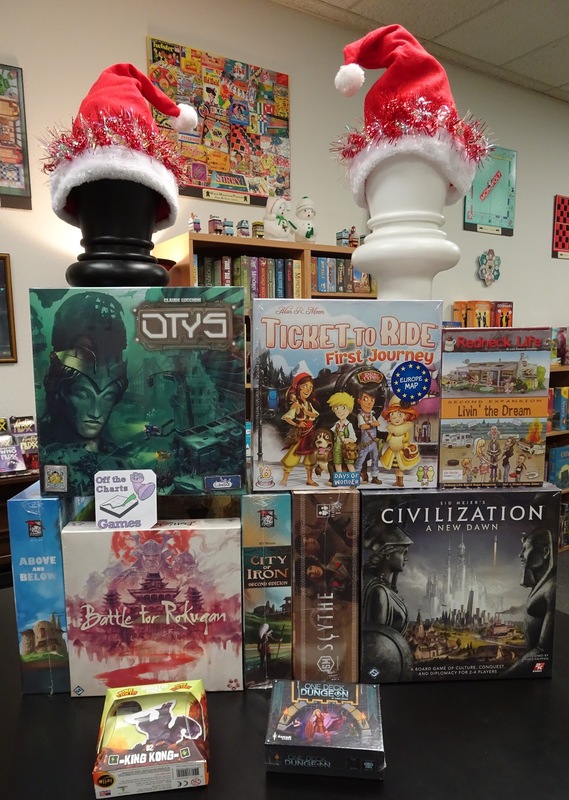 Dungeon Masters will find new rules for traps, magic items, downtime activities, and more. Amid all this expansion material, the Xanathar offers bizarre observations about whatever his eyestalks happen to glimpse. Pray they don't come to rest on you.